Europe is host to some of the world's most iconic football stadiums and arenas. Below I've compiled a list of 15 awesome stadiums worth visiting from 15 different European countries, that highlights the history and magnificent architecture of football on the continent. Telia Parken is the largest stadium in Denmark, and home to both FC Copenhagen & the Danish National Team. The ground is built directly on top of the previous national stadium which was constructed in 1911. FC Copenhagen are Denmark's most successful club, having won 12 Danish Championships & 8 Danish Cups, and the club regularly feature in both the UEFA Champions League & Europa League. Telia Parken has been selected as one of the playing venues of the Euro 2020 Championships which is being played across the continent, hosting 3 group matches and one round of 16 match. 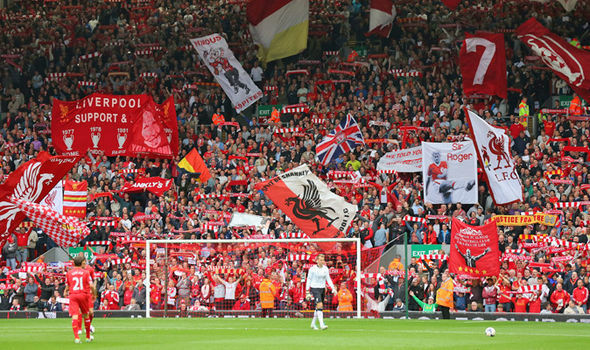 Although Liverpool FC hasn't won anything remotely important in the past decade, the rich history and atmosphere of Anfield make this stadium very desirable to visit. Various expansion projects have been completed since its opening in 1884; the famous Shankly Gates were erected in 1982 and the The Kop End, a one-tier all seater stand, was completed in the 1990s. Anfield was one of the playing venues for Euro 96, hosting 3 group matches and a quarter final. In recent years, the ownership have decided to expand Anfield completing the first phase of reconstruction on the Main Stand before the beginning of the 2016/2017 season. Liverpool FC are one of the Big 6 teams in the Premier League and regularly perform in the Europa League, this year they've forced themselves back into the Champions League. Stade (or Orange) Velodrome was originally built to host games during the 1938 World Cup before being adopted by OM. The stadium was completely rebuilt for the 1998 World Cup, when it received its signature round-shaped stands. Furthermore in preparation for Euro 2016, State Velodrome increased capacity by 7,000 in 2014 - it hosted the semi-finals between France and Germany at that competition. 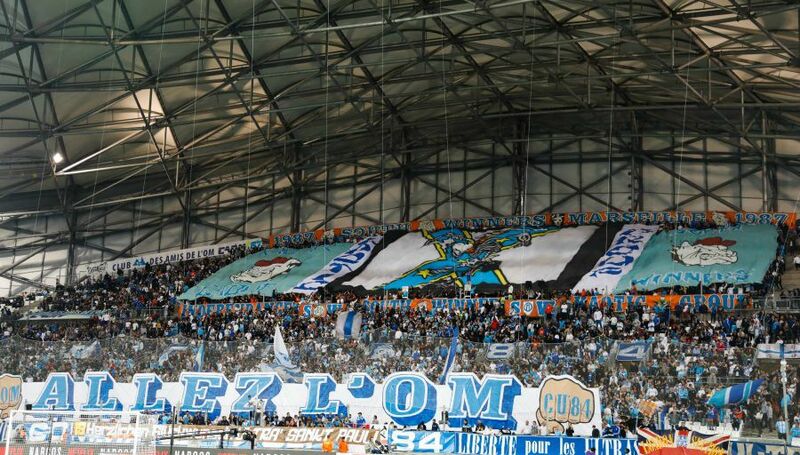 The stadium is located in the southern part of the city, and Olympique de Marseille has a large fan-base, having regularly averaged the highest all-time attendance in French football. The atmosphere and fans are absolutely fantastic, and a large contingent of fanatics or ultras attend every game, as the club regularly compete for the Ligue 1 title and the UEFA Europa League. Previously called Westfalenstadion, Iduna Park is home to Borussia Dortmund FC and initially was built to host matches during the 1974 World Cup. At the time it had 34,000 standing seats. After reconstruction efforts in the 1990's the stadium could hold 68,600 fans, including a 25,000 capacity South Stand which became the largest terrace in Europe. In 2001, the ground hosted the UEFA Cup Final and was one of the playing venues for the 2006 World Cup. 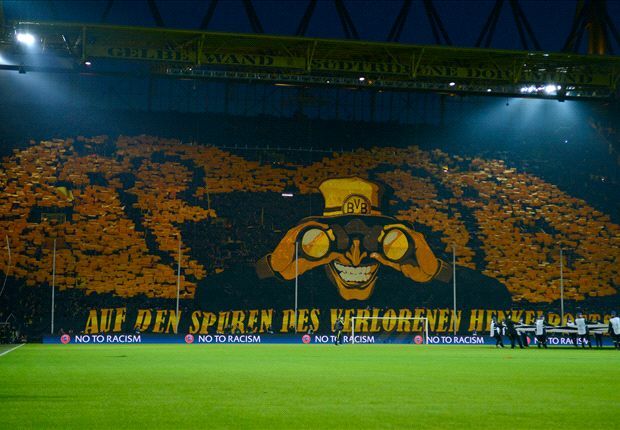 The ground is the largest in Germany and renowned around the world for its atmosphere and infamous 'Yellow Wall' which describes the 25,000 standing Dortmund fans situated behind one of the goals. Borussia play fast attacking football and has some very dynamic and entertaining forwards - this one is definitely on my bucket list. Karaiskakis Stadium opened in June 2004 and was one of the stadiums used during the 2004 Olympics. It is located in the south-western Athens suburb of Piraeus and lies on the edge of Piraeus city centre and about 2.5 kilometres east from the port. Outside of Athens, Olympiacos is the most popular club in Central Greece the Peloponnese, the Aegean and the Ionian Islands. Olympiacos fans are renowned for their passionate and fervent support of the team, PSG and Brazil international winger Lucas Moura in an interview with goal.com stated that Olympiacos home ground was the most intense and heated stadium he's ever played in. Near the stadium you can find a monument that commemorates 21 Olympiakos fans that died after a match against AEK in 1981 - among the red seats in the stadium 21 are painted black in memory of the deceased. San Siro remains one of the most iconic stadiums in world football, and was first owned by AC Milan before being sold to the city of Milan in 1935, who were soon forced too enlarge the stadium due to the club’s increasing popularity. AC Milan were the sole occupant of San Siro, but were then joined by FC Internazionale in 1945. The ground was expanded 10 years later, when a second tier was added to the original structure, resulting in a capacity of around 85,000 seats. When Italy were awarded the 1990 World Cup, the San Siro received further renovations, with both Milan clubs adding a third tier, a roof covering all seats, and eleven cylindrical towers around the stadium to support the additions. The stadium has hosted some of Europe's most riveting match days, having been the home of two Italian teams that were dominant in Europe throughout the 1990's and early 2000's. If you ever get the chance to watch the Derby della Madonnina, or the Derby di Milano here, I'd highly recommend attending. The Amsterdam ArenA was historically the first stadium in Europe with a retractable roof, and is located in a modern office park in the south-east of Amsterdam, approximately 10 kilometres from the city centre. Historically, Ajax has been the most successful club in the Netherlands with 33 Eredivisie titles and 18 KNVB Cups. It has continuously played in the Dutch football top division since its inception in 1956 and is one of the country's 'big three' clubs, along with Feyenoord and PSV, that have dominated that competition. Although Ajax finished second in the 2016/2017 domestic season, they reached the Europa League final with a young, talented side who received praise for their exciting attacking style of play. Ajax are also known for having fanatic core supporter-groups, the atmosphere during a home game must be awesome with the roof in effect. Arena Nationala is owned by the city of Bucharest, and interestingly, can be rented out by any football club in the country. From the start of the 2012/13 season, Dinamo decided to play all their home matches here, though occasionally they were forced to play matches back at their previous ground, Stadionul Dinamo, due to scheduling issues. Originally, the Arena Nationala was also used by FC Steaua for high-profile league games and all their European cup-ties, and in 2015 they decided to play all their home games at the stadium. Like other large, iconic stadiums, the Arena Nationala is furthermore the standard playing venue for the country’s national team. In 2012, the stadium hosted the Europa League final between Atletico Madrid and Club Athletic (3-0). It has also been selected to host matches during the 2020 Euro’s which will be played across the continent. The stadium’s stunning exterior structure make this ground a must visit. Saint Petersburg Stadium, also referred to as Zenit Arena, is the recently opened new stadium of FC Zenit. It got built at the site of the former Kirov Stadium. Gazprom, the Russian gas company, promised to initially fund the construction project, however they pulled out leaving the city government of St Petersburg to take over the operation. The stadium was finally completed in April 2017, with overall costs soaring past $1 billion, making it one of the most expensive stadiums ever built. Japanese architecture firm Kisho Kurokawa designed the structure and gave it the resemblance of a spaceship. Saint Petersburg Stadium is going to be one of the playing venues of the 2018 World Cup in Russia, during which it will host four first round group matches, a quarter final, a semi final, and the match for third place. It also hosted four matches during the 2017 Confederations Cup, including the final. Capacity of the stadium has been reduced to 56,196 for regular league matches, but will be increased to around 68,000 for the World Cup. 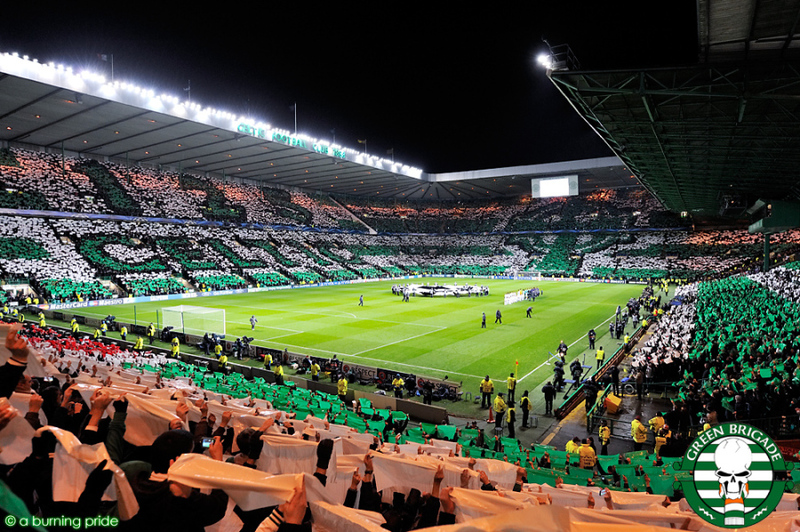 Celtic FC was founded in 1887 with the purpose of alleviating poverty in the immigrant Irish population in the East End of Glasgow, and Celtic Park has been its home since 1892. Celtic has won the Scottish League Championship 48 times and the Scottish Cup 37 times and have dominated football in the region alongside their bitter rivals Rangers. The club's greatest season was 1966–67, when Celtic became the first British team to win the European Cup, also winning league, the Scottish Cup, the League Cup and the Glasgow Cup. Celtic's long-standing rivalry with Rangers is seen by some as the world's biggest football derby and the clubs have nowadays become known as the Old Firm. Instead of choosing Barcelona’s Camp Nou, or Real Madrid’s Santiago Bernabeu, I thought the home of Valencia CF deserved a mention in this list of great sporting stadiums in Europe. During the Spanish civil war, the stadium served as a concentration camp and junk yard, and as a result got heavily damaged to the point that not much remained. After the war, Mestalla was restored but remained a modest affair until the club embarked on a large redevelopment project called “Gran Mestalla”. This involved rebuilding a new main stand and expanding all the others, which finished in 1955 raising capacity to 45,000. Today, the Estadio de Mestalla is lacking in much-needed modern facilities, and Valencia have announced plans for new stadium in the north of the city but work has halted since its initial commencement in 2007, I'd highly recommend visiting this stadium before Valencia CF vacate the premises, as the arena looks truly magnificent and maintains a great cultural and historical significance. 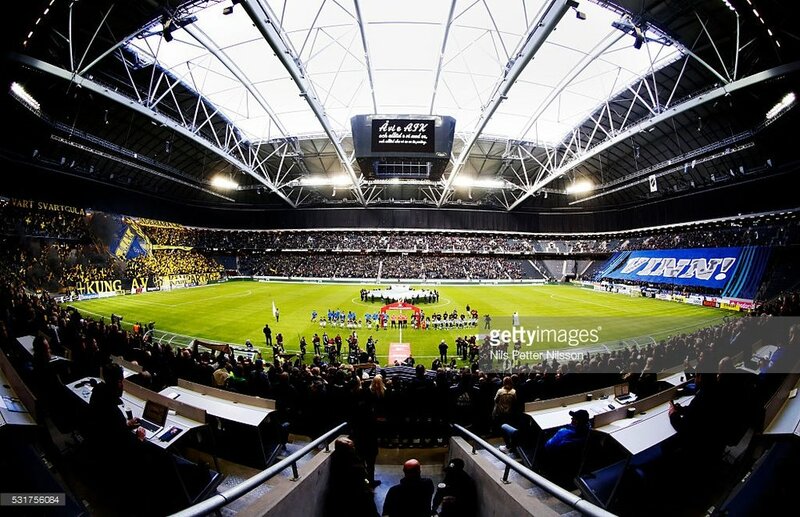 AIK's home ground is Friends Arena, located in Soina, a municipality in Stockholm bordering the city centre The stadium became the home of local side AIK from the start of the 2013 season. In a referendum, the club’s fans chose the arena over the Tele2 Arena. The first football match at the stadium was played on 14 November 2012 when the Swedish national team took on England where Sweden won 4-2 and Zlatan Ibrahimovic scored a hat-trick including a memorable bicycle kick from 35 yards out. The stadium hosted last years Europa League final and AIK's most important fan clubs are Black Army, Ultras Nord, Sol Invictus and Firman Boys who are renowned for their terrace choreography. 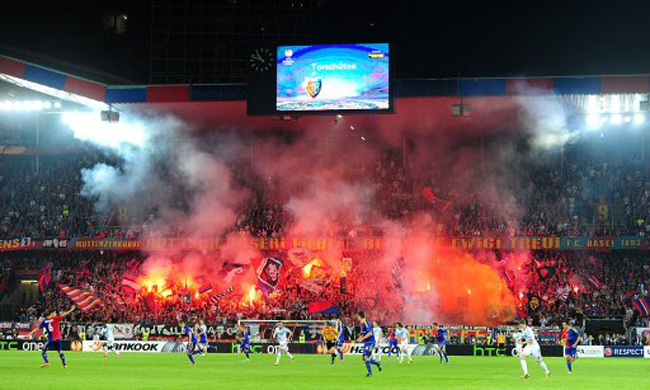 St. Jakob-Park, nicknamed Joggeli, is the largest stadium of Switzerland and home of FC Basel & the Swiss national team. In 2016, the stadium hosted the Europa League final between Sevilla & Liverpool (3-1) and during the Euro 2008 championships, 3 group matches, 3 quarter-finals, and the semi-final between Germany and Turkey (3-2) were played at St. Jakob-Park. 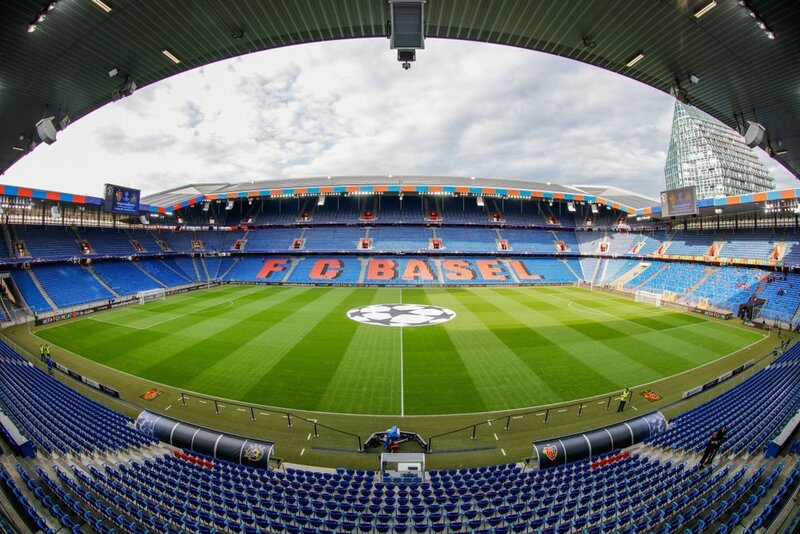 FC Basel are one of the most successful clubs in Swiss football, having won the Swiss Super League 20 times, the second most for any club, and have competed in European competition every season since 1999–2000. The Türk Telekom Arena is the home of Galatasaray SK, the most successful Turkish football club based on the European side of the city of Istanbul. Construction of the Türk Telekom Arena began late 2007 and came at a cost of an estimated €160 million. 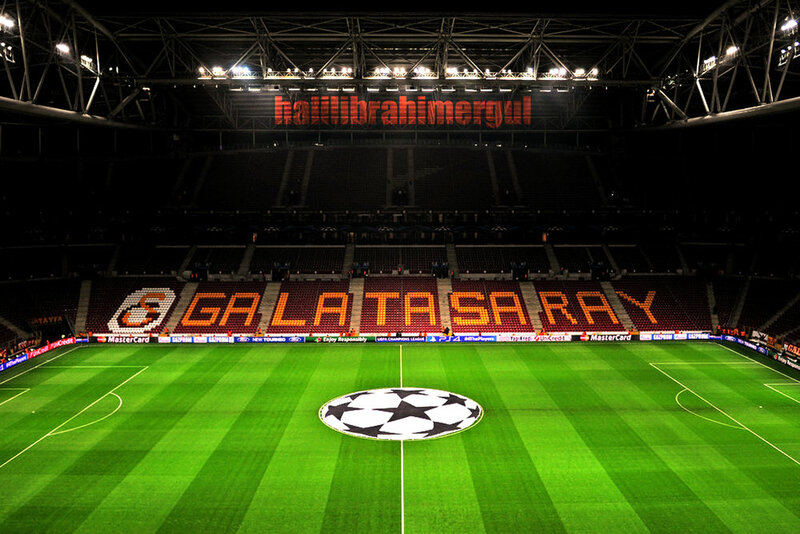 The stadium officially opened on 15 January 2011 with a match between Galatasaray and Ajax (0-0). Galatasaray SK have won 20 Süper Lig titles, 17 Turkish Cups and 15 Turkish Super Cups. It is one of three teams to have taken part in every season of the Süper Lig since 1959, following the dissolution of the Istanbul Football League and are the only club to have won the Süper Lig in four successive seasons. The club has a long-standing rivalry with other major Istanbul teams, namely with Beşiktaş and Fenerbahçe. The derby between Galatasaray and Fenerbahçe is dubbed the Kitalar Arasi Derbi (Intercontinental derby) due to the location of their headquarters and stadiums on the European (Galatasaray) and Asian (Fenerbahçe) sides of the Bosphorus strait in Istanbul. The atmosphere at Galatasaray SK games is supposedly wild, going to any one of their games or even a derby match is not for the faint hearted.